We’d love your help. Let us know what’s wrong with this preview of Who Will Save Me from Grandpa? by Carrie Williams-Lee. You know, you could have stopped it anytime you wanted to! Imagine hearing these accusatory words spoken to you by your abuser, your own grandfather. Imagine hearing these words as a thirteen-year-old girl who has just mustered up enough courage to finally end the atrocious sexual abuse you have suffered during the most important developmental years of your life. Imagine t You know, you could have stopped it anytime you wanted to! Imagine the lifetime of guilt and shame, the loss of self, and how these devastating events have impacted your heart, mind, body, and spirit. To ask other readers questions about Who Will Save Me from Grandpa?, please sign up. Be the first to ask a question about Who Will Save Me from Grandpa? 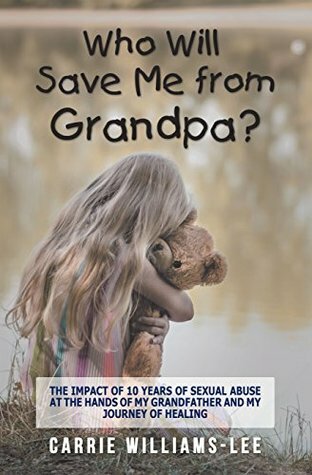 A must read for anyone that has been affected by sexual abuse or anyone wanting to learn about the effects it takes on the person being abused. This book will leave you in tears!